Island Hoppers slots is an online game for gambling fans with modest requirements and a flare for adventurous themes and preferably-travels by an airplane. The plane does have an important role in both the look and the gameplay of this slot. Luckily, you don’t have to be an expert at flying an aircraft in order to work your way around the game and win big awards. This slot is in possession of 3 reels and 1 payline. The maximum number of coins with which you can spin the reels is 3. 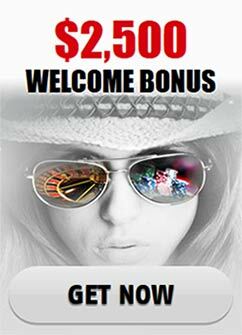 You can also choose to play with just one or two but if you do that, you won’t be given the chance to win the big 2000-coin jackpot prize of the game. There are six coin values in the game-10 cents, 25 cents, 50 cents, 1 dollar, 5 dollars and 10 dollars. The most valuable symbol of the game is the so-called Gold Flight Wings badge symbol, which is a solidified proof for your proficiency in piloting an airplane, throughout this long and epic journey. It is the symbol that also awards the top three prizes in the game so prepare to pop champagne as soon as you see three of those on the reels because that means a lot of money coming to fill up your pocket. At a bet of 1 coin, three of those badges will pay 1000 coins, When the coins are 2, the award will grow to 1500 coins and at 3 coins, you can land the jackpot of 2000 coins if you assemble 3 of the Gold Flight Wings. That is an award that is very difficult to underestimate-at a maximum coin value of 10 dollars, you might as well bring home 20 000 dollars. Unfortunately, the rest of the winning combinations in the game are nowhere near the spectacular prize that can be bestowed by the triple flight wings. The next most profitable symbol is the airplane itself and three of those will grant you 150 coins at a full coin number bet. Next in line are the three BAR symbols. Three of the triple BAR-s will grant you 50 coins. Three of the double ones pay 25 coins and then a triple singe BAR combination will pay just 10 coins. There is a fourth BAR combination, which delivers the lowest ranked combination and that is three random BAR symbols on the reels and that pays 5 coins. Yes, this is a simple game and admittedly, when you take into consideration some of the other 3 reel, 1 payline slots, Island Hoppers slots does feel slightly weaker because the symbols, which don’t award the jackpot don’t pay too much but this is still a game, which can provide big wins and is worth the time.